If you regularly use the E-utilities API you might want to read this. After May 1, 2018, NCBI will limit your access to the E-utilities unless you have one of these keys. 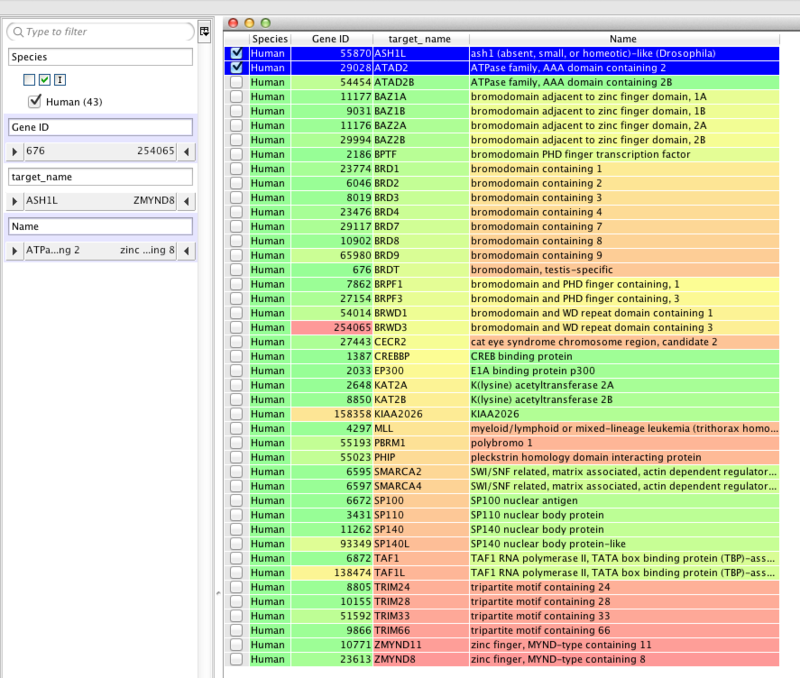 Obtaining an API key is quick, and simple, and will allow you to access NCBI data faster. If you don’t have an API key, E-utilities will still work, but you may be limited to fewer requests than allowed with an API key. After May 1, 2018, any computer (IP address) that submits more than 3 E-utility requests per second will receive an error message. This limit applies to any combination of requests to EInfo, ESearch, ESummary, EFetch, ELink, EPost, ESpell, and EGquery. I've updated this script to reflect this change, and I've highlighted where you need to add your api key in the script. I've also tried to ensure that any query string should be encoded to make it URL safe. I've also extended the search range up to 2018. Text based searches use esearch.fcgi and has the format shown below, this query searches for "BRD2" between 2010 and 2014. 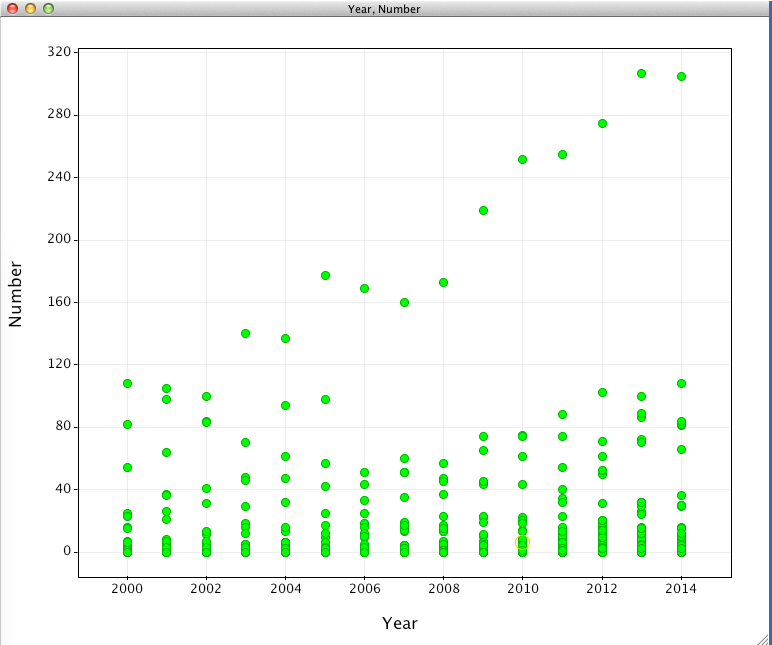 Where "Count" gives the number of publications within the date range. Bromodomains are 110 amino acid protein domains that recognise acetyl lysine residues such as those on the N-terminal tails of histones. This recognition is often a prerequisite for protein-histone association and chromatin remodelling and is an area of great current interest in oncology. 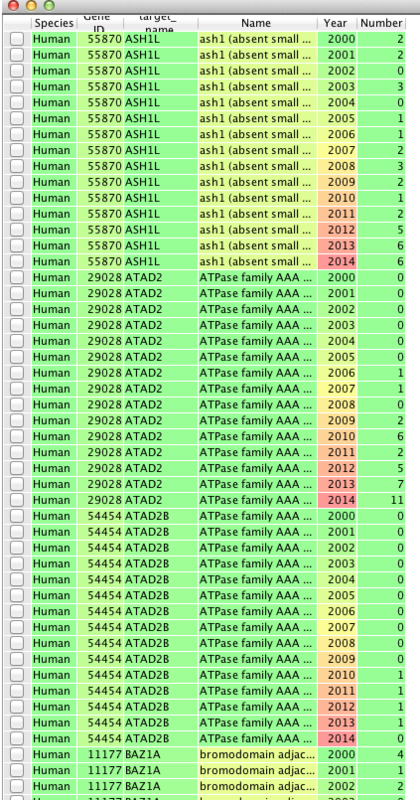 An increasing number of bromodomains have now been identified and are detailed below. 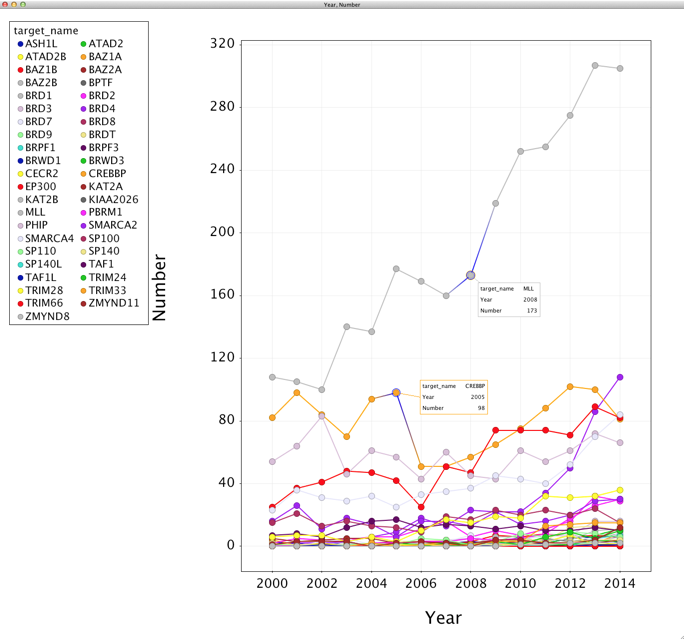 When starting a project it is often interesting to know how many publications there are for a particular target and whether they are increasing or decreasing over time. **First you will need to add your api key into the script**. 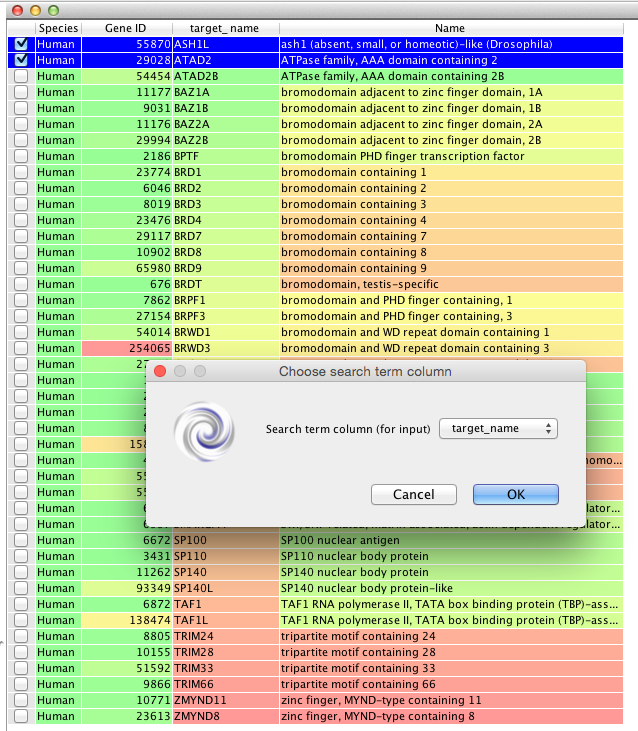 The next part of the script allows the user to select the column that contains the query term. The next part of the script runs through each row of the workspace gets the search query term, converts it to a HTML safe format, and constructs the URL (including the date range) to search PubMed, including the api key. 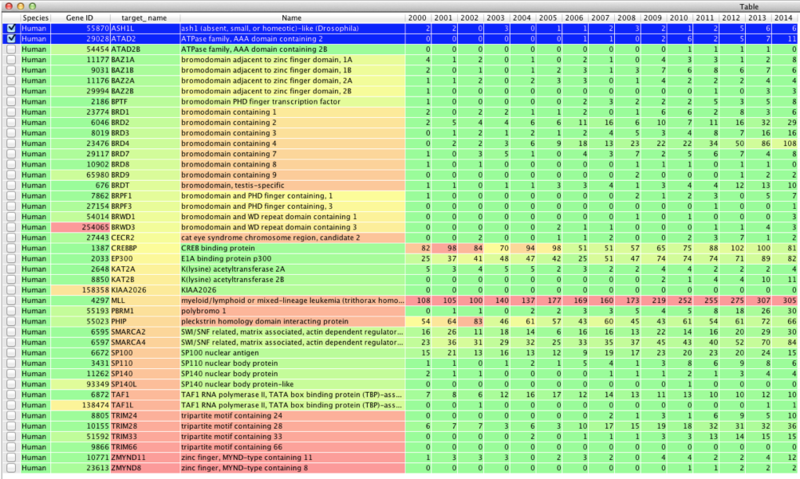 The response XML is then parsed to extract count of publications and the table updated. Whilst this is an obvious way to summarise data in a table it is not ideal from the point of view of plotting the data in Vortex. In order to create a plot we need the data to be in two columns (to provide the x and y axes), so we need "de-pivot" the data, and fortunately there is already an example script provided by Matt Ironside at Dotmatics. People are probably more familiar with the term "Pivot Table", this is a process implemented in many spreadsheet applications that allows the user to summarise data contained in long flat tables. In this case we need to do the reverse, convert the summarised data into a long simple table. 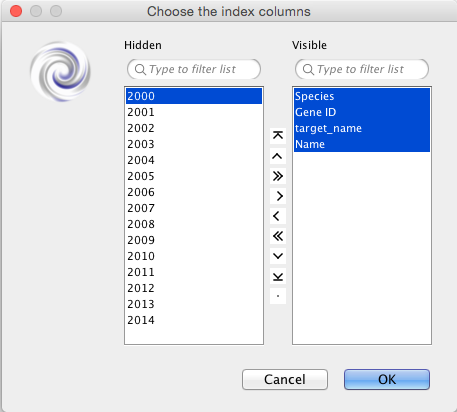 First we get all the column names then identify the index columns that will be used in the new workspace, then the columns that will be "de-pivoted"
The user is asked to select the index columns and use the ">" to move them across. 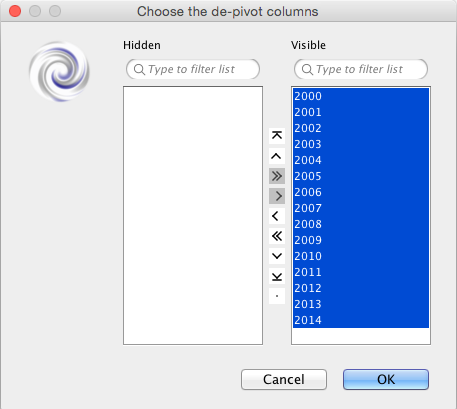 Then choose the de-pivot columns, in this case all the years. # Load in the CSV file as a new table, plotting a graph of "Year" against "Number"
and a scatter plot, which at the moment is not very informative. In the plot settings under "Columns" set colour to "targetname" category. 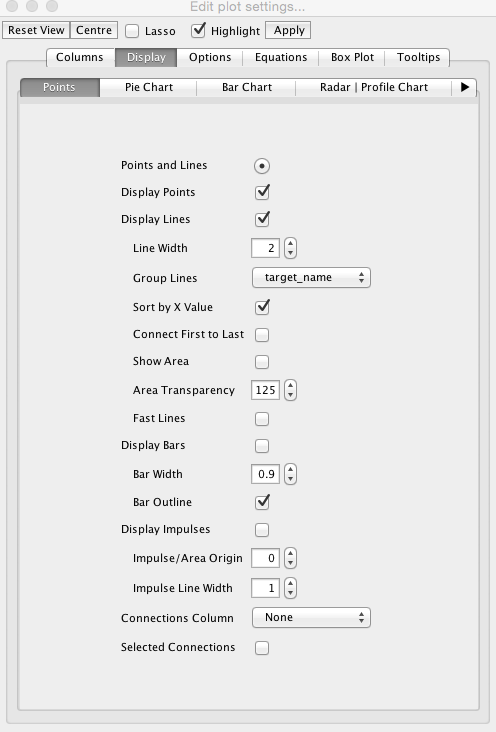 In the "Display" tab, set the checkboxes to Display lines and points, Group Lines by targetname and change the line width to taste. In the "Options" tab set the legend position to Top Left, and in the "Tooltips" tab choose target_name, year and number.